by Shahid Khan Houses are burnt, people are made homeless, innocent shot dead, shops damaged, personal possession stolen, honor lost, respect mired and minorities are choked to death. This is today’s Pakistan. A country which was once declared as a “Free State” by its founder, Quid-e-Azam, on 11th of August, 1947 during his speech to Pakistan Constituent Assembly, seems to have lost its ideology and vision into the pages of history where now minorities are taken as the “weakest Link” a mere scapegoat to unleash the fury against the Western deeds and dramas. The law of the land does not protect its own dwellers rather it opens them to an unending tug of war between rights and protection. Why minorities are made treated as second class citizen of Pakistan? According to the Bishops conference Justice and Peace Commission estimated that there have been 993 innocent victims of these laws between 1986 to 2010. The fear from being the minority group is always a ceaseless threat while these laws take their toll against them. This August 1st is first anniversary of the sad events which shook the world with its terror with the persecution that ended up 9 Christians killed in KorianVillage, a district in Faisalabad, 2009. I had chance to visit luckless inhabitants of ‘Korian Village a district in Faisalabad who sorrowfully became the victims of brutal and heartless treatment from Muslims of the nearby village only because they were not from the mainstream religion. Driven by their own personal benefits and gains, Muslims of the nearby village attacked some more than 100 families in the dark of the night to take control of the land they lived ever since it was first planted back in 1970s. Houses dashed to ashes and children running around in the shabby tents with big holes as they wait on the help under the blue sky was the sorry picture of these marginalized people of this country. They were treated as refugees in their own country. The most recent of atrocities is the Emmanuel brothers, Rashid Emmanuel 30 and Sajjid 27 who were put to death on this 19th July, 2010 who were charged of Blasphemy law which they both denied and were shot as they were leaving for the court. How many of us will die, deaths like this? Blasphemy Laws do not protect the rights of minorities rather they are used against them as weapon to diminish them from the face of the earth. These laws should be repealed once and for all to ensure the life and safety to the minorities otherwise they will be trapped by it sooner or later. Pakistani Christians have been a peace loving community who has done extremely well in field of education and done prodigiously well in regards to lighten the dark world with light of education. There are numberless Christian institutes, schools and colleges who have been providing the best standards of education to make sure that this country does not lag behind in field of education. But in spite of their priceless efforts in this regard from the word go, they have been awarded with “Blasphemy Laws” in recognition of their efforts to uplift and promote its masses regardless of faith, religion, color and background. 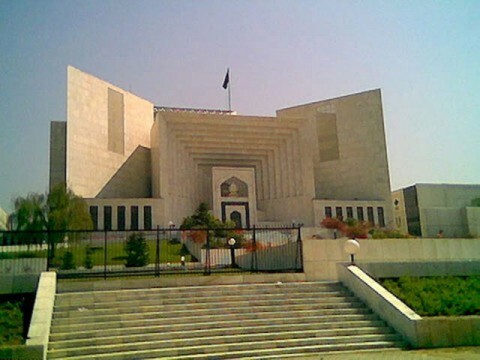 Blasphemy law is dealt under Section 295 for PakistanPenal Code which has its roots back to British Indian Penal Code of 1860 which was further amended in Section 295-A in 1927 reads “ Defiling any place of worship or deliberately insulting the religious beliefs of any group was to be punished up to two years imprisonment”. So there Shariah courts started operating in 1980 and with the later years it was developed and amended and further strengthened its power. 295-B Defiling the Holy Quran: Whoever willfully defiles or damages or desecrates a copy of the Holy Quran or an extract there from or uses it in any derogatory manner or for any unlawful purpose shall be punishable with imprisonment for life. 295-C Use of derogatory remarks in respect of Holy Prophet: “Whoever by words either spoken or written or by visible representation or by any imputation, innuendo, or insinuation, directly or indirectly defiles the sacred name of Holy Prophet shall be punished with death and life imprisonment and shall also be liable to fine. In 1991, Federal Shariah Court made mandatory death sentence for committing Blasphemy law against the prophet Muhammad. Where is the life of a non-Muslim guarded among these laws which rule the land today? The rational view is to repeal them to enforce the love and harmony among the people of different dogmas and let them live in a freedom, love , peace and harmony as envisioned by its founder Quaid-e-Azam rather than making laws suchlike which further worsen the already marred the terrorism stricken Pakistan. We need to realize the minorities are equal citizens of Pakistan like any other and we need to give them a right to live and exercise their religious beliefs regardless of any threat and fear of death. Laws in the world are made to protect people and not to seize their rights to live. Minorities in Pakistan have become the mere stigma on the white portion of the green flag of Pakistan while the world peeps into the mere destiny they are doomed into unless these laws are repealed. There is no hope, no life and no light for these luckless and helpless so-called citizens of Pakistan who are seen with indifferent eyes as the Refugees in their own homeland which was taken from the British rule and once declared as “Free State”. Pakistan Celebrates its 63 birthday this year since its inception in 1947…. Where are the 63 years of freedom gone while minorities struggle to profess their faith for the fear to be killed and shot dead …. This entry was posted in Asia, Pakistan, Persecution and tagged Blasphemy_Laws, minorities, Pakistan, Persecution. Bookmark the permalink. Enter your email address to follow ShekinahToday and receive notifications of new posts by email.